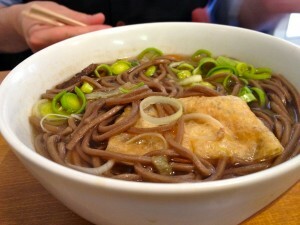 Artcafe Morita was a glorious curio right in the heart of tourist land on the Royal Mile. Ostensibly the café that formed part of a bed & breakfast, it was a fine purveyor of haggis sushi amongst other things. Owners John and Kozo meticulously prepared dishes to a wonderfully impressive standard and it built a small but devoted audience. The internet tells me they now run another B&B in Newington, but sadly the sushi marvels are no longer available. When successful places have to close due to rent disputes, it tends to leave a bitter taste in the mouth. 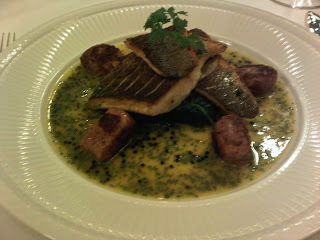 Such was the case, I believe, with Bindi, a fantastic Gujarati and East African place on St Patrick’s Square. It served vegetarian sharing dishes of excellent quality and variety, and was quite unlike any other restaurant in the city. Owner Bindiya Kanani is now a fixture on STV Edinburgh’s Fountainbridge Show, so she is still connecting with her appreciative audience. Once home to the finest breakfast rolls in the city, it was a sad day when Morrison Street’s Copper Bird finally closed its doors. With bacon and sausages sourced from Stockbridge’s George Bower, the first bite of their tripler (bacon, sausage and egg) roll will live long in the memory. Nowhere before or since has quite matched that magic breakfast moment. An awkward location tends to be major contributing factor in the closure of a place, with Edinburgh often quite brutal and indescriminate in its designation of what is and isn’t a “good location”. Elbow, a former bar and kitchen on East Claremont Street, was definitely a victim of being rather betwixt and between places. It was a crying shame when it closed as it was home to one of the best Sunday roasts in the city and had a quirkily enjoyable feel to the place. Now home to Greek restaurant Spitaki, here’s hoping the location gods smile more broadly on this new venture. Freeman’s was at the vanguard of Edinburgh coffee for a good little while, with excellent Climpson’s coffee served in slightly hipsterish surroundings in Marchmont. The atmosphere of the place was always welcoming and with their espresso pop-up Lock Up Coffee they provided an outstanding showcase for different roasteries from across the UK. The energy and ideas of owner David Freeman are much missed in the city. FYUL – Food You’ll Utterly Love – was a great cafe on Bread Street serving a smart menu of sandwich and platter dishes in quirky and eclectic surroundings. They’d spent a lot of money to get the place looking as smart as it did, and this was possibly responsible for their downfall, as it was always going to be hard to make back that investment. 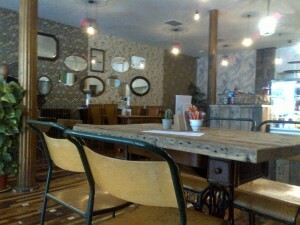 Still, it is much missed as it was a very smart and friendly place. It’s always lovely to discover a little takeaway shop that’s ploughing an otherwise unexplored furrow. 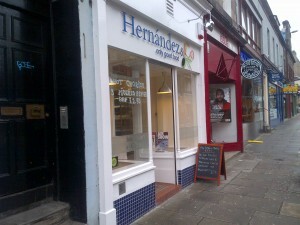 Hernandez & Co on Queensferry Street was such a place with it’s smart menu of simple but flavour-packed Spanish dishes. Their morning chorizo omelette rolls were a thing of incredible reviving power and are much missed. The Meadowood Cafe was on the market for a long time before it finally closed its doors. With Edinburgh not overly blessed with quality Chinese eateries, it was a considerable shame to see it close as it served excellent dumplings and delicious soups for a very reasonable price. The excellent Bentoya now occupies the premises, but the Meadowood is still much missed. 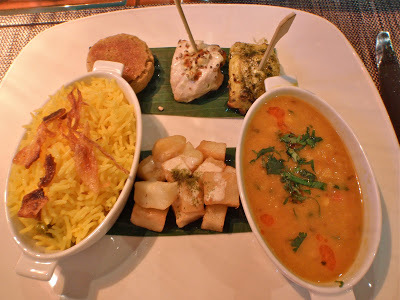 The outstanding fine dining exploits of Mithas built an appreciative audience during their tenure on Dock Place, Leith. However, the failure to build a solid lunch trade, among other things, led to them closing their doors after seeing in 2015 with their Hogmanay feast. Fans of the place have been given a reprieve, though, as some of the kitchen and front of house team have now reappeared at Mumbai Mansion in Haymarket. The Mulroy brought country house chic to West End premises that have sadly now sat empty for a considerable stretch of time. Eccentric owner Clemens Hoss d’Estenfeld Macdonald was a character whose lack of continued involvement in the Edinburgh restaurant scene makes it an entirely less luminous place. A gem that shone brightly but briefly, it brought much joy to those who visited. Sometimes you’re glad to catch a place before its sudden and unexpected demise and such was the case with Russian Passion. Our first and (to date) last Russian restaurant, the compact cafe at Canonmills was notable for daily fresh pieroshkies, ready at about 1pm, and then only being open in the evenings for advance bookings. I believe the owners came to the end of their British work visas so had to close up and head home, which was a shame for all concerned. Seadogs was David Ramsden’s dedicated seafood restaurant when The Dogs’ empire encompassed four restaurants. Thankfully the mothership still remains, but the fall of Seadogs (as well as Amore Dogs and Underdogs) remains a niggling sore point as it was such a fantastic purveyor of high quality fish dishes. 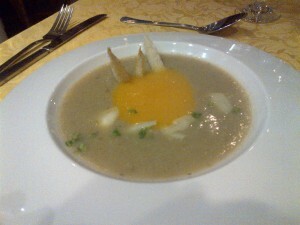 Their Cullen skink in particular will live long in the memory. Tea at 94, the 94 referring to their 94 Buccleuch Place address, was a tea and cake favourite, particularly with adherents to gluten free diets. With an excellent range of teas from Jenier, there was always something new to try and it was almost always an absolute delight. For devotees of owner Michelle’s baking, she can now be found at Archipelago Bakery on Dundas Street. If there was a more completely bonkers restaurant in Edinburgh (the famous Armenian place near Holyrood, aside) than Wild, we’d like to see it. Keeping quails in the back garden, cooking everything from scratch (including making soup from scratch to order), and keeping the heating to an icy minimum, some of the food served was quite spectacular…when it finally arrived. A real loss to the diversity and creativity of our restaurant provision when it closed, it will live long in the memory of those who were lucky enough to visit.